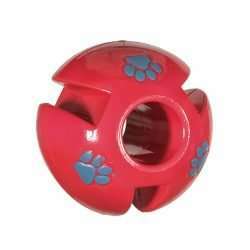 Dogs can’t resist the unique shape and sound of this squeaker toy.? 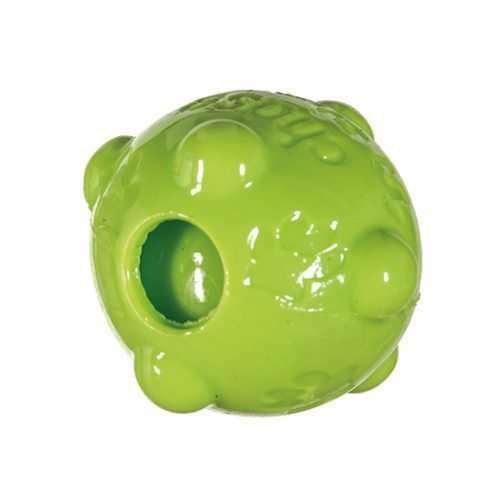 Dual squeaker technology makes different sounds depending on how the ball is squeezed. The bounce & squeaker are great fun for my standard poodle! 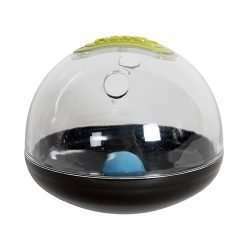 Really like the dual squeakers on the inner ball. great choice of silicone rubber on this product & thick enough to be sturdy but not so thick that it won’t work well. Also, soft enough so that it won’t injure my dogs teeth! Easy fit into a medium Chuck-it. 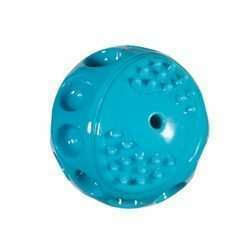 My border collie loves his medium Molecule Ball squeaky toy and enjoys playing catch with it. A nice quality product.